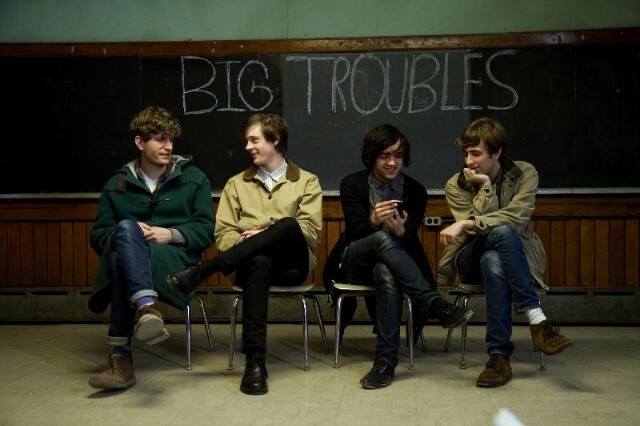 Big Troubles are a group of fun/funny dudes from New Jersey who specialize in forlorn power pop with big, fuzzy hooks that recall the glory days of 120 Minutes. The quartet recently signed to Slumberland for the release of the appropriately titled Romantic Comedy. Check out album track “Misery” along with “Phantom,” the b-side to first single “Sad Girls,” below. The “Sad Girls” 7″ is out 8/30, followed by Romantic Comedy on 9/27, both via Slumberland.